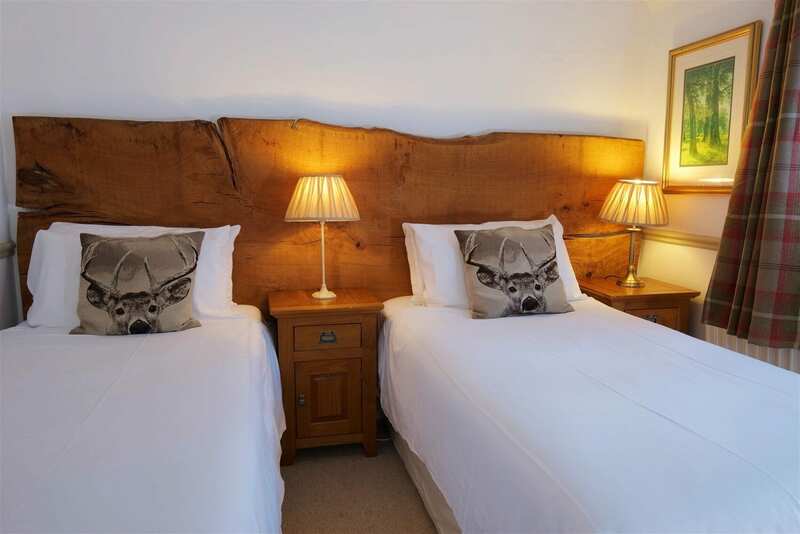 Surprise a partner or friend with this twin/double room with oak headboard. 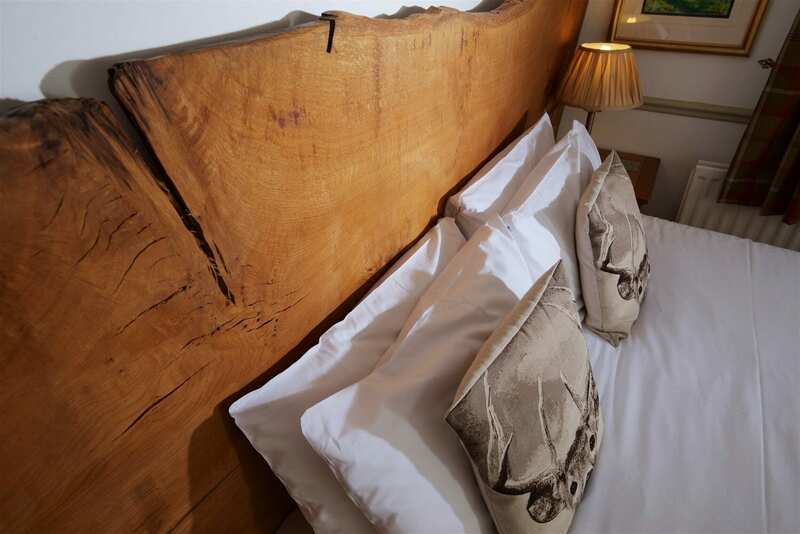 Discover the amazing oak headboard from a huge oak tree created by artisan Rob Dyer from a tree that fell in a New Forest farm. It took four men to carry it into the building. 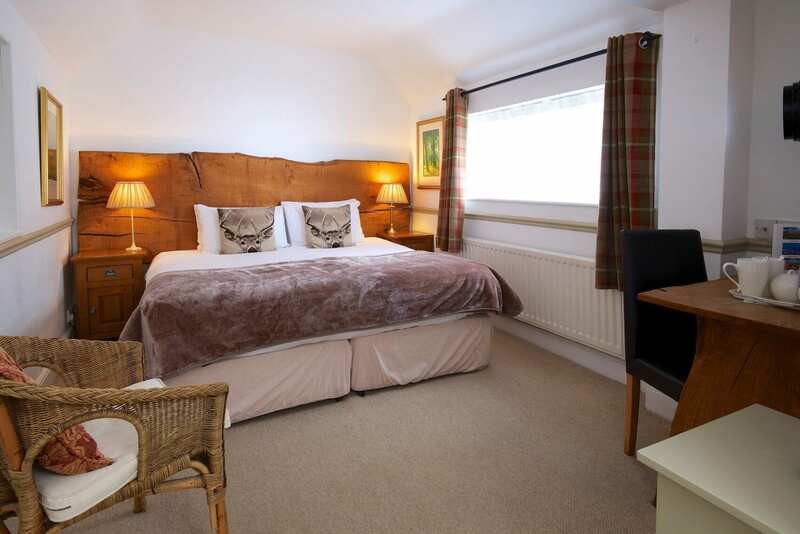 The Verderer’s Rest is a ground floor hotel room with a view of a small courtyard. The room has a zip and link bed that can be set either as a twin or 6-ft-wide double. Tell us your preference when you book. 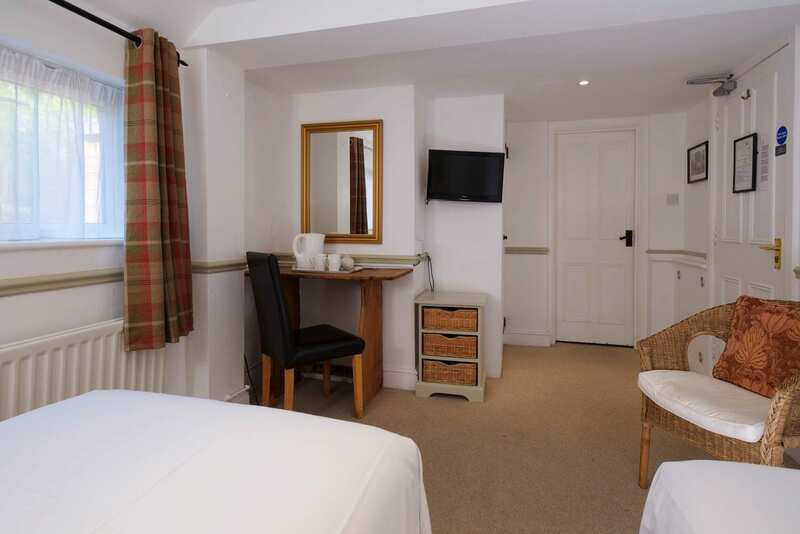 This ground floor en suite room is at the rear of the property and is a short, level walk through the hotel. The Verderer’s Rest is named after the people who take care of the forest. Verderers protect and administer the New Forest’s unique agricultural practices and conserve its landscape. 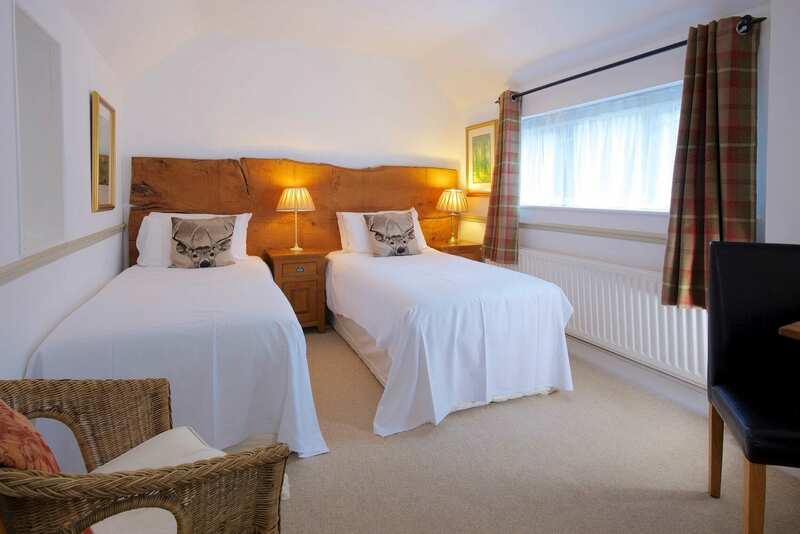 All of Cottage Lodge hotel’s 15 bedrooms are named after places in the New Forest, or people associated with the forest or the original building. 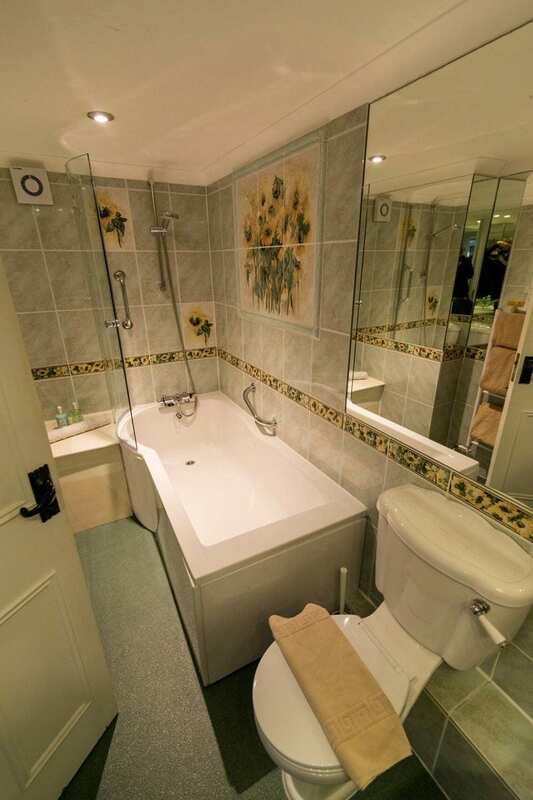 Rooms are individually-designed.